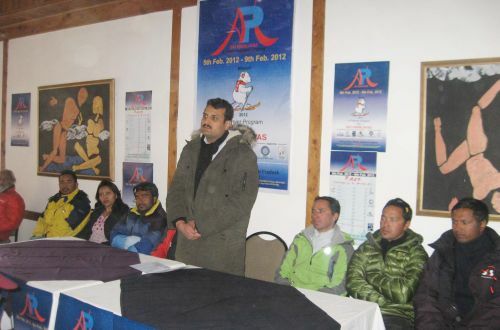 Himalayan Ropeways Private Limited presented Rs. 15 lakh towards the Chief Minister’s Relief Fund, here today. Himalayan Ropeways Private Limited Managing Director Amitabh Sharma presented draft to Chief Minister. Chief Minister thanked the Management of the Himalayan Ropeways for making its contribution towards the Chief Minister’s Relief Fund. He said that it was heartening to note that the ropeway project was gaining popularity with the tourists visiting world famous Solang valley and adding to the quality tourism infrastructure in the State. He said that better and quality infrastructural facilities were on the anvil to give boost to tourism promotion activities in the State.